21 ideas, thought shifts, and external forces meeting planners need to be aware of to succeed. We are at a dynamic inflection point in global meetings. Technology, the sharing economy, and Millennials entering leadership positions are creating a transformative force. 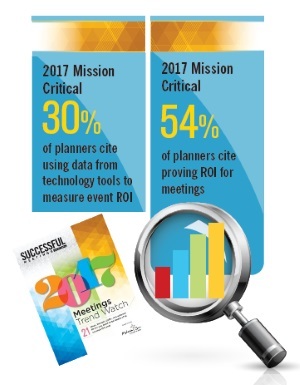 Meetings content is becoming more of a collaborative effort between attendees and presenters, and the forces of disruption are at work throughout the meeting planning industry. 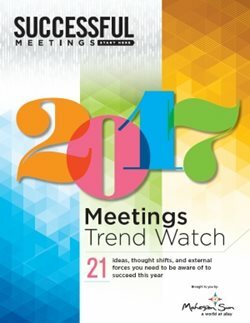 Successful Meetings has published 2017 Meetings Trend Watch, offering an insightful look into key trends meeting planners should consider embracing, and some they should be prepared to confront. 2017 Meetings Trend Watch is brought to you by Mohegan Sun.